PowerCore was proud to be an exhibitor at the first Five Points Festival held recently in New York City. Presented by Clutter and Midtown Comics and deftly executed by Leftfield Media – the event was a resounding success, mixing the world of Designer Toys and Indie Comics with food trucks and craft beer. PowerCore exhibited with our close friends 1000toys and together we brought the Mechatro WeGo Custom show to town featuring new customs from Paul Kaiju, Bwana Spoons, Rampage Toys and graffiti legend P.H.A.S.E.2. 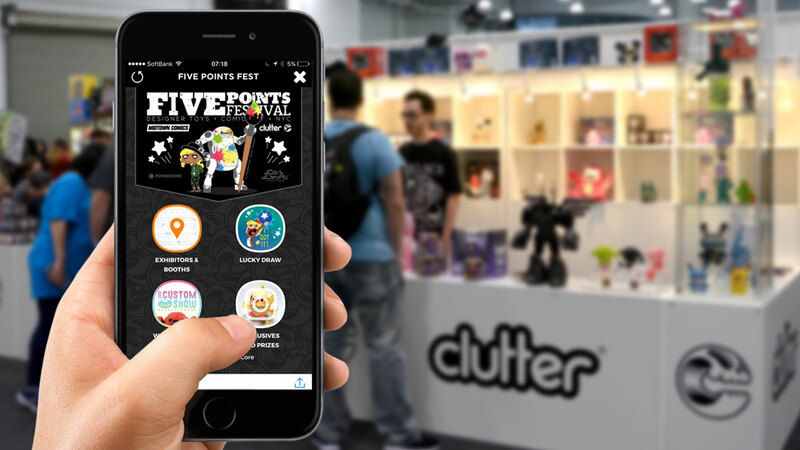 To “activate” the event, PowerCore created a special Five Points-themed Content Collection inside of PowerCore COLLECTOR – our Art+Toy Lifestyle mobile App. Featured inside the Content Collection was the PowerCore Collector Selection Lucky Draw promotion. 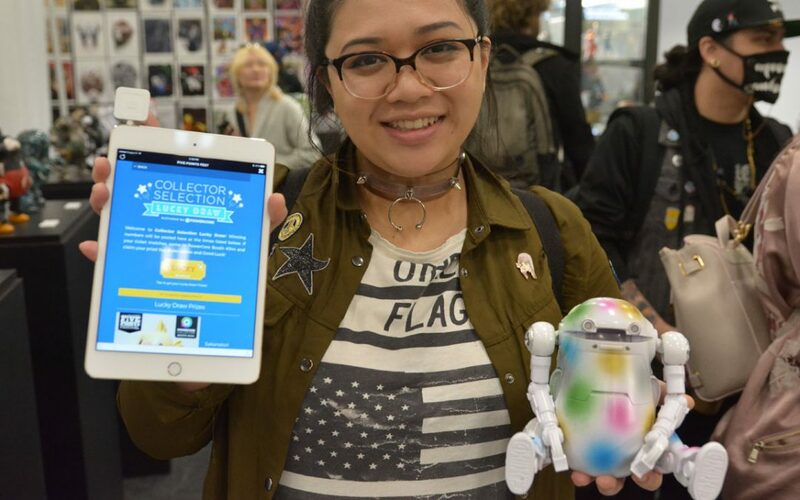 With the app, con-goers could receive a virtual lottery ticket that made them eligible to win a variety of exclusive toys and prizes. The Content Collection also included a vendor map and event info pertinent to the event. Prizes included coveted vinyl toys from makers Teresa Chiba, Hikari Bambi, Chima Group, Momoco, Hyperactive Monkey with the top prize being a large-scale Mechatro WeGo embellished by Japanese painting legend Goto-san. A big thank you to all the participants and congratulations to the winners.